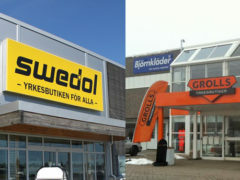 Swedol acquires Grolls and becomes one of the leaders in work clothes and personal protection in the Nordic countries. Swedish Co-operation, KF, continues on the path to focus on the core business. Now the shares in the playground chain Leos Lekland is sold to Litorina.